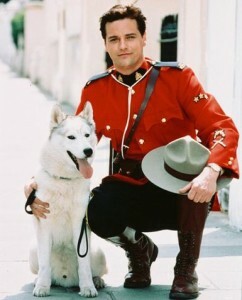 Due South is one of the few prime time Canadian series to air on American tv. The cultural differences between Canada and the U.S. in general, and the Mounties and Chicago police in particular, were a major theme. The Canadian law enforcement officer is politeness personified, while the American is well-armed and cynical. The tone was gently absurdist. That, and the fact that it bounced all over the schedule, led to it’s cancellation. Fortunately, though, like so many other under-rated shows, it is available on DVD through our very own PrairieCat. Especially charming, was that the star’s vast knowledge of just about everything was attributed to the fact that his grandparents were librarians. You gotta love that.